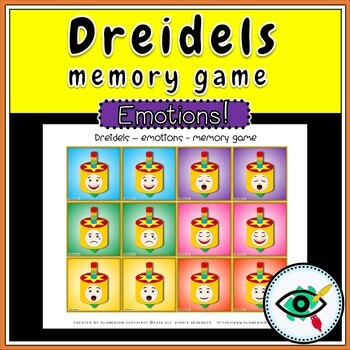 Colorful Dreidel emotions memory game, especially for Hanukkah! 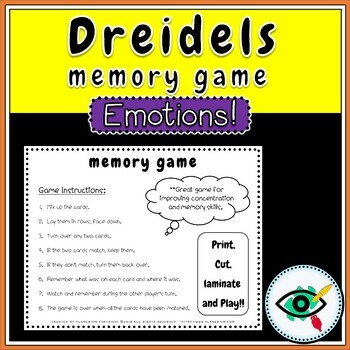 The Dreidels were designed with a face that expresses different emotions, and can be used as a fun and engaging game to teach emotions. 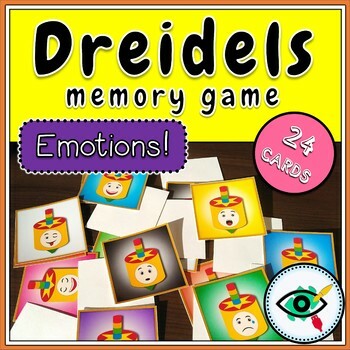 This matching game includes 24 cards in a PDF file. Click the GREEN ★ to follow my store and get notifications of new products and freebies! Receive credit toward future TpT purchases by reviewing this product. 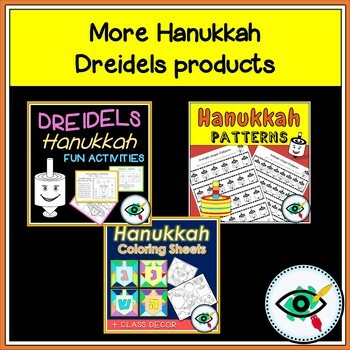 If you like this product, please leave a review on the product page or through "My Purchases" under "My Account" at TpT. If you have any suggestions/constructive criticism, please contact us! Thank you for being interested in our Product!